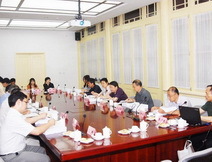 The "Upgrading China's Economy through Informatization" project research group holds a workshop in Beijing. 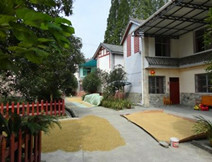 Cheng Guoqiang led a research group to conduct field studies. Cheng Guoqiang, director-general of the DRC's Information Center, and Zhang Hong, vice-director-general, led a research group to Shenzhen. The implementation of a global agricultural strategy is aimed at establishing a national grain security safeguard mechanism with a global perspective, and setting up a sustainable, stable and safe global supply network of agricultural products.